Sorry it’s a bit late this week, but here is a round up of the Kickstarters that have currently caught my eye – there’s a lot going on at the moment! Here are some new 30mm minis with a sci-fi theme from Midknight Heroes. The project is already funded, and finishes on the 3rd November, with delivery due in March 2017. New Zealand company Flytrap Factory are just a few NZD short of their $2500 goal for creating a range of airship bomber crew – 28mm goblin-esque figures. The project is running until the 22nd October, with delivery due in February 2017. The project has surpassed it’s 999 EUR funding goal, and is running until the 12th November, with delivery due in March 2017. 28mm Merchant and his six Sentries – four of them in various stages of falling asleep! Suitable for RPG’s and tabletop wargaming. The Merchant is sculpted by Kev White. This project has reached 120% of its $2500 funding goal, and is running until 5th November. Delivery is due in December 2016. Relic Blade is a fantasy skirmish game from Metal King Studio. 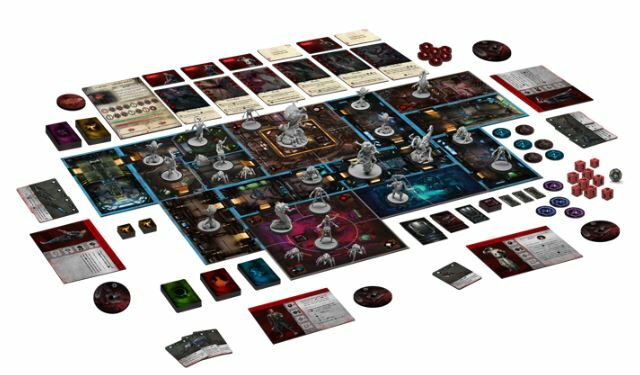 The Bone and Darkness expansion adds to this game, but is also an ideal entry point. The miniatures are 30mm metal. The project has already reached over 120% of it’s $8,000 funding target, and is due to run until 15th November 2016, with delivery due in February 2017. Purgatory is a new 32mm Skirmish Wargame from Underestimated Games Limited. The project is already funded, having hit 150% of it’s £10,500 funding goal. It’s running until the 7th November , with delivery due in August 2017. Collision, by Code Orange Games, is a 32mm true-scale skirmish game for two or more players. Every player takes charge of a gang of about 5 to 10 resin models. It has reached over 300% of it’s 3500 EUR funding goal, with the project due to finish on the 1st November. Delivery is due in May 2017. The project has a $2000 AUD goal, and is 20% funded. The project is running until the 8th November, with delivery due December 2016. Currently at $380,000+ (of a $100,000 funding goal), this board game from Dimension Games looks very, very good indeed, even if you just drool over the miniatures. Did I mention that the miniatures look stunning? The project is running until 11th November, with delivery due in November 2017. Black Phoenix Games are producing a boardgame with miniatures set in the 22nd Century post-apocalyptic ruins of Las Vegas. The project has reached about 175% of it’s £7500 funding goal, and is running until 1st November, with delivery due in May 2017. Described as “Splendor meets Go meets Zombicide” – new board game from Jonathan Jeffrey Lai. The project is 160% funded ($30,000 target) and is running until the 9th November, with delivery due in September 2017. This project has reached just under 50% of its 40,000 EUR funding goal, and is running until 17th November. Delivery is due in May 2017.